Leo Kottke performing on Mountain Stage for the 10th time. Hear his set on this week's episode. "From Pizza Towers to Defeat" is a track from Clone, Kottke's 2002 duo album with Phish bassist Mike Gordon. With his trademark bounce and dynamic, jaw-dropping finger-picking, Kottke charms with this "true story" performed live on Mountain Stage. Members of BKO along with Ari Hest, Johnny Irion, Larry Groce and Julie Adams, during the finale of Mountain Stage. You'll hear the entire set from Kottke, plus sets from Mali's BKO, and three distinctly different singer-songwriters: Josh Rouse, Johnny Irion, and Ari Hest. 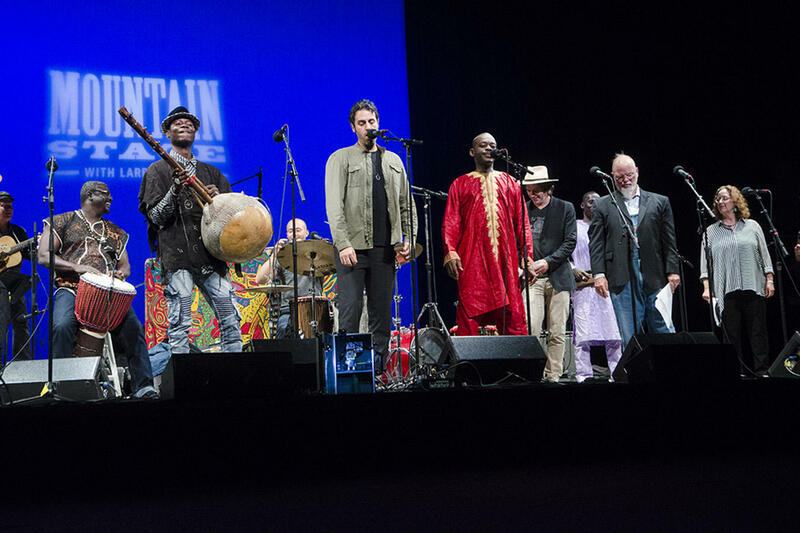 They're all in live performance on the latest episode of Mountain Stage. Find your station here, and be sure to subscribe to our podcast so you never miss a note. 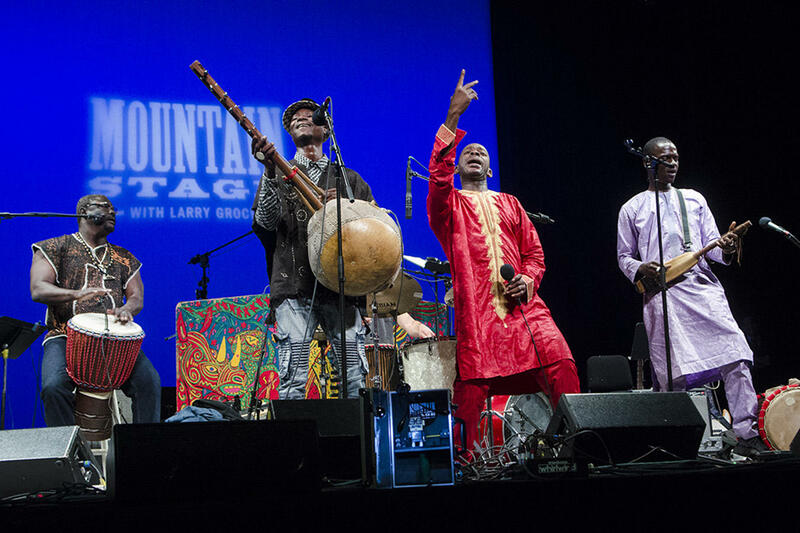 Named after the airport in their West African home, Mali's BKO bring their modern sound to Mountain Stage on this week's broadcast.